Full Professor in Private Law, Daniel Cohen is Professor at University Paris 2 Panthéon-Assas, where he manages the Professional Master programme in "International Business Law" and also various programmes in International Arbitration. He teaches International Arbitration, Business and Trade International Law and Company Law. Considered as an expert in these fields, he is the author of numerous publications on these subjects and has frequently given lectures in many countries of various areas (America, Asia, Europe, etc.). Member of the Board of the French Committee for Arbitration, he is also Member of the French Committee for Private International Law and Member of the ICC Court of Arbitration’s Panel of Arbitrators. He is a very well-known arbitrator and serves very often in international Arbitral Tribunals (as Chairman, co-arbitrator or sole arbitrator; ad hoc and institutional arbitration: ICC, UNCITRAL, AFA, CEPANI, etc.). Full Professor in Private Law, Thierry Bonneau is Professor at University Paris 2 Panthéon-Assas, where he is responsible for the mission quality-assessment and takes part in several degree programs for foreign students. He teaches Banking Law, Financial market Law, Banking and Financial European and international regulation. Considered as an expert in these fields, he is the author of several books and numerous articles on these subjects. He is a columnist for several law journals. One of the columns is related to financial European and international law. Panel member in several French (Banque et droit; Bulletin joly bourse; Corporate Finance and Capital Markets Law Review) and English (International Financial Regulation Review (IFIN), which is published by BNA International) law magazines and encyclopedia (Encyclopaedia of Banking Law, which is published by Lexisnexis UK), he is co-director of one of them (Revue de droit bancaire et financier) and a board member of European Society for banking law and financial Law. He also gives lectures in several countries and serves as a consultant for large international law firms, domestic or foreign companies. Martin Collet is Professor of Law at Université Panthéon-Assas (Paris II), where he manages the Master program in tax law, and is member of the Conseil des prélèvements obligatoires. He is the author of many publications on taxation, public finance and administrative law and is also a board member of several law journals. He has experience as a consultant and has been a partner of Corpus Consultants since its creation in 2011 by Robert Badinter, former French Minister of Justice and former President of the French Constitutional Counsel. Professor Collet recently published Finances publiques (LGDJ, 3ème éd., 2018), Droit fiscal (Presses universitaires de France, 6ème éd., 2017), L’impôt confisqué (Odile Jacob, 2014) and Procédures fiscales (Presses universitaires de France, 3ème éd., 2017) with Pierre Collin. 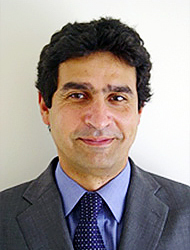 Laurent Convert is associate Professor at University Paris 2 Panthéon-Assas. He worked as a lawyer in London and Madrid, and made a work of research on comparative Company Law. His interest in the international field leads him to lecture regularly in deferent continents. Specialized in International Business Law, in European Business Law, and in Company Law, whether from civil or common law systems, he lectured in Vietnam, Mexico, Ukraine, Eastern European countries, and African countries as well. He is part of several international programs in which he provides courses in International and European Business Law to students coming from the USA(Northern Illinois University- NIU). He also provides courses of Business law and Company Law to students coming from China (UniversityofNankai). In other respects he is also interested in the South American Systems of Law and the Spanish law system in general as he lectured inMonterrey(Mexico) and manages the double Master degree in French law and Spanish law held in common by the Universities of Barcelona (UAB) and Paris II. Professor Jean-Christophe Galloux (Dr. iur., LLM EUI Florence) teaches intellectual property law, competition and contract laws in connection with IP at the Law faculty of University Paris 2 Panthéon-Assas and at the International Center for Intellectual Property (CEIPI Strasbourg). He also heads the Intellectual Property Research Institute (IRPI) of Paris (Paris Chamber of Commerce). He has been visiting professor in these matters at numerous universities: Montréal (Canada), Casablanca (Marroco), Bahrein, Budapest (ELTE), München (LMU and Max-Planck Institute), Tokyo (Toddaï) and Moscow (MGU), Saint Petersburg, OAPI (Yaoundé), etc. He is the author of more than 220 publications in intellectual property law, competition law, pharmaceutical and biotechnology law. He recently published several books in particular with Pr. Jacques Azema "Droit de la propriété industrielle" (Collection "Précis", Dalloz, 1 100 pages, 7th ed. 2012), which is the leading adademic book in this field. He has been an adviser to the European Commission, UNESCO and OECD for IP matters, a member of the European Ethic Committee for the European Federation of Biotech Industries (EUROPABIO) in Brussels (1999-2003) and of several academic boards among others Max Planck’s MIPLC (Munich). He practices intellectual property matters as a member of Paris bar since 1984, mediator and arbitrator. Prof. Dr. Galloux has been elected in 2013 has a member of the National Academy of Pharmacy. Agrégée des Facultés de Droit (1982) teaches EC and Competition Law for post-graduate students at University Paris I Panthéon-Sorbonne (1993-2007) and University Paris 2 Panthéon-Assas (since 2007). Her other fields of interest include arbitration law and private international law, and their interaction with competition law. She is also co-director of the monthly reviewEurope(1991), director of the scientific committee of the review Concurrences (2004), and a member of advisory boards of several reviews, such the Common Market Law Review. She has an active role in many academic associations and is the President of the French Association on Competition Law (AFEC) as well as one of the French NGA for the ICN. These last five years, she has devoted quite a few articles as well as a book (Bruylant, 2004) to European competition reform. Mrs. Idot has also experience as a practitioner, a consultant, and an arbitrator. She was appointed as a member of the "Authority of Concurrency" early 2009. Professor of Private Law, his research work covers mainly International Private Law and Arbitration. Member of the French Council of International Private Law and of the French Branch of the International Law Association, he teaches Commercial Arbitration Law, International Investment Law, International Commercial Law and Commercial and Contract Law. Jean-Pierre Mattout is member of the Paris bar and his practice primarily focuses on national and international banking and financial transactions, mergers and acquisitions, company law and corporate governance issues. He has been involved in all types of banking and financial transactions, national and international. As former General Counsel of the Paribas Group, a position held for more than ten years, he participated directly in the formulation and implementation of many strategic operations, including large mergers and acquisitions. From 2002 until 2004, he was the General Counsel of the France Telecom Group. Based upon his experience as the chief legal officer of an international bank and one of Europe’s largest business corporations, he has a wealth of knowledge in corporate governance issues. He is Ph. D. and teaches international banking law, financial and monetary law at Paris II University. He published a book, Droit bancaire international, 4th edition in 2009 and many articles on banking and financial legal topics.